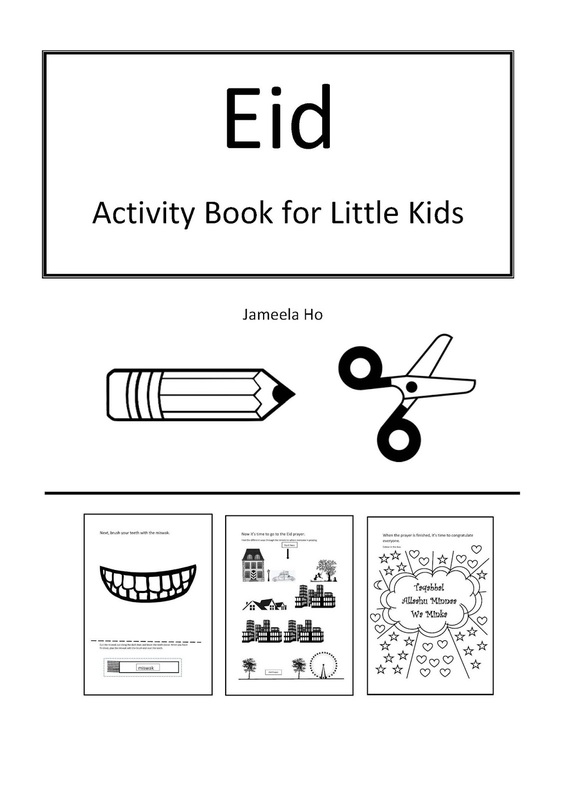 Due to the popularity of the Ramadan and Hajj Activity Books for Little Kids, I've made a complement book on Eid. It takes children through the ten things that we do from when we wake up on the day of Eid: take a shower, use the miswak, put on clean clothes, spray perfume (for boys), eat a date (for Eid ul Fitr), takbir, going to the Eid prayer, zakat al Fitr (for Eid ul Fitr), Eid prayer and dua. It can be used for both Eids, just take out the eating of a date and the zakat when using it for Eid ul Adha. The style of the worksheets is much similar to the other two books. If you haven't got them yet then be sure to do so (click on the above links). P.S. Do you also know that I have a similar Masjid Activity Book for Little Kids? Get it here. 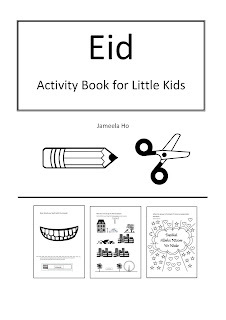 But before you get all these other books, please tell me where to send you this Eid Activity book. By joining my education newsletter, you'll be able to download any new books and printables that I create as soon as they come out instead of missing out or signing up. You get them delivered to your inbox. Fill in the form below and download immediately. You need to subscribe using the form above and then it will be sent to you.